Heated Leather Seats, Sunroof, Turbo, Power Liftgate, Rear Air, All Wheel Drive, Alloy Wheels, MEMORY PACKAGE. Essence trim, SMOKED PEARL METALLIC exterior and SHALE W/ EBONY ACCENTS interior. EPA 29 MPG Hwy/21 MPG City! READ MORE!======KEY FEATURES INCLUDE: Leather Seats, All Wheel Drive, Power Liftgate, Rear Air, Heated Driver Seat Keyless Entry, Remote Trunk Release, Electronic Stability Control, Bucket Seats, Electrochromic rearview mirror. 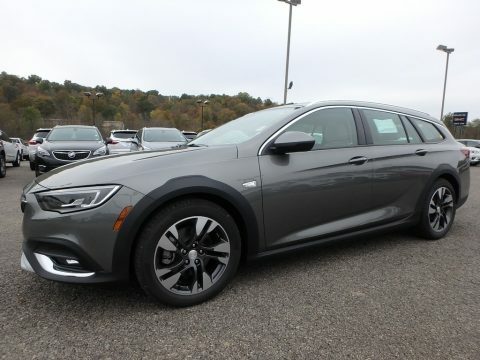 ======OPTION PACKAGES: DRIVER CONFIDENCE PACKAGE I includes (A45) Memory Package, (AVK) driver 4-way power lumbar seat adjuster, (AVU) front passenger 4-way power lumbar seat adjuster, (DXA) outside heated, power-adjustable, driver side auto-dimming mirrors, (K4C) Wireless Charging, (T4L) LED headlamps, (T95) cornering lamps, (TR7) headlamps with auto leveling, (UD7) Rear Park Assist, (UFG) Rear Cross Traffic Alert and (UKC) Lane Change Alert with Side Blind Zone Alert, MOONROOF, POWER-SLIDING PANORAMIC WITH POWER SUNSHADE, LPO, ROOF CROSS RAILS, BRANDED "BUICK" TRI-SHIELD, ENGINE, 2.0L TURBO DOHC 4-CYLINDER SIDI WITH VARIABLE VALVE TIMING (VVT) (250 hp [186.4 kW] @ 5400 rpm, 295 lb-ft of torque (398 N-m) @ 3000 - 4000 rpm) (STD), TRANSMISSION, 8-SPEED AUTOMATIC (STD), MEMORY PACKAGE recalls 2 driver "presets" for power driver seat, outside mirrors and driver personalization, AUDIO SYSTEM, 8" DIAGONAL BUICK INFOTAINMENT SYSTEM includes multi-touch display, AM/FM/SiriusXM stereo, Bluetooth streaming audio for music and most phones, Android Auto and Apple CarPlay capability for compatible phones, advanced voice recognition, in-vehicle apps, personalized profiles for infotainment and vehicle settings (STD). ======EXPERTS ARE SAYING: Great Gas Mileage: 29 MPG Hwy. Horsepower calculations based on trim engine configuration. Fuel economy calculations based on original manufacturer data for trim engine configuration. Please confirm the accuracy of the included equipment by calling us prior to purchase.